Colorado victims of a hit and run accident often find themselves caught between a rock and a hard place. On the one hand, dealing with the immediate effects of the injuries they have sustained is imperative. On the other hand, charting a course to restored health and happiness may be impossible if the liable party is still at large, and mounting medical bills and lost wages threaten to provoke financial ruin. This scenario illustrates just how important it is for Colorado hit and run accident victims to secure the assistance of a qualified personal injury lawyer to help manage events during such a difficult time. Make no mistake—anyone who flees the scene of an accident can be charged with a hit and run. If you are the victim of a hit and run accident, you may be concerned with many things. How will you pay your medical bills? Who will pay for these damages? Luckily, a Colorado personal injury attorney will be able to help you get the answers you need after a devastating hit and run accident. While a Colorado hit and run accident will provoke a criminal investigation, this does not address all of the needs of the victim. Until the liable party is discovered, insurance companies can be difficult to deal with, and may even be reluctant to honor injury claims. An experienced Colorado personal injury attorney can help navigate this challenging situation and stay on top of both the criminal investigation, as well as any insurance problems that arise. Once the “at fault” motorist is discovered, a Colorado personal injury lawyer can also help secure compensation for medical expenses, rehabilitation, and lost wages. An experienced Colorado attorney is needed to manage the influx of additional attorneys, investigators, and insurance company representatives that will accompany a criminal trial, and with expenses likely mounting, this intervention is critical. Due to the quickness with which medical bills can accumulate and financial hardship can accrue, time is of the essence for injury victims in securing the help of a Colorado personal injury attorney. After a Colorado hit and run accident, you will need aggressive legal representation from the moment you are injured. Colorado personal injury attorney, Saul R. Sarney, will be a zealous legal advocate during this difficult time. By working with police officials, medical experts, and insurance companies, Saul R. Sarney ensures the maximum compensation for all of your injuries. 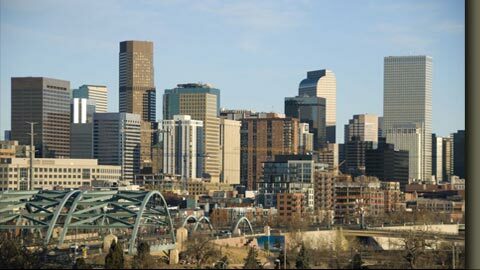 If you have been injured anywhere in the State of Colorado, contact Denver personal injury lawyer, Saul R. Sarney, for a FREE INITIAL CONSULTATION. To speak with a Colorado hit and run injury lawyer about an accident or the loss of a family member, please call our office at 303-759-3300 or contact us online. We do not charge a fee to discuss how we can help you meet your legal needs. 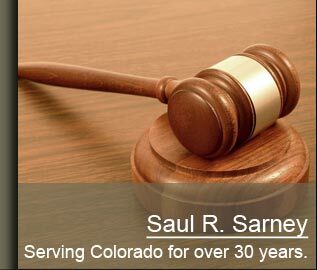 The Colorado Personal Injury Law Firm of Saul R. Sarney, P.C., in Denver, Colorado, represents clients facing personal injury and wrongful death lawsuits, and denial of insurance coverage claims throughout the greater Denver metropolitan area and areas north, including the cities of Lakewood, Aurora, Englewood, Littleton, Arvada, Greeley, Morrison, Boulder, and Broomfield, as well as Douglas County, Denver County, Jefferson County, and Arapaho County. We also represent clients in other states including Kansas, Nebraska and New Mexico.